Coming off a week eight victory over the Buffalo Bills, the New England Patriots got in the Halloween spirit on Wednesday. On Instagram, Tom Brady may have won for scariest costume, lurking in the background of a family photo as Pennywise the clown. Chris Hogan shared a cute photo of his twin sons dressed as a mouse and cheese. Lastly, multiple Patriots dressed up in costumes as part of the team’s annual Halloween party for pediatric cancer patients. Devin McCourty, Jason McCourty, David Andrews, Danny Shelton, Derek Rivers, Geneo Grissom and Eric Smith dressed up as Disney characters. A few former Patriots also shared their Wednesday fun. Happy Halloween from my angel and my “mini-me”! 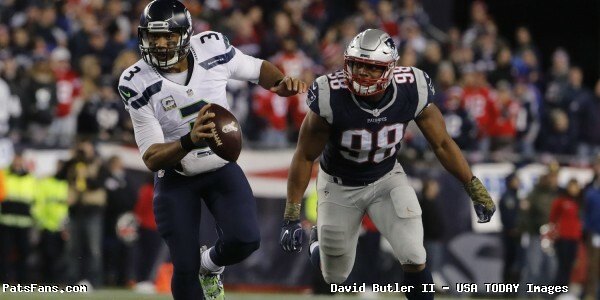 This entry was posted in Patriots Commentary, Patriots Photos, Patriots Twitter, Patriots Video and tagged Chris Hogan, Danny Shelton, David Andrews, Derek Rivers, Devin McCourty, Eric Smith, Geneo Grissom, Jason McCourty, Jerod Mayo, Matt Chatham, Tom Brady on November 1, 2018 by Robert Alvarez. If there was an area more snakebit than the edge for the Patriots in 2017, then please share. The team lost both Jabaal Sheard and Chris Long during free agency. But with Rob Ninkovich, Trey Flowers, Dont’a Hightower, Shea McClellin, and Kyle Van Noy returning, they weren’t in terrible shape. Then they addressed it with two draft picks, Derek Rivers, and Deatrich Wise. Kony Ealy was brought in with a trade and Harvey Langi was added as an undrafted free agent. So things didn’t seem bad at all, …and then the wheels came off. Ninkovich retired abruptly during training camp. Rivers and McClellin were hurt in training camp and lost for the season. McClellin may be gone for good as he’s suffered numerous concussions and this one may be it for him. Wise missed time during camp but came on strong afterward. Things weren’t helped when Ealy flamed out and the player they brought in from the Seahawks Cassius Marsh wasn’t a fit. Langi was shelved for the year after he and his wife were rear-ended at a traffic light and both got seriously injured. The team moved Hightower to the edge before he too was injured and ended up on IR. Keionta Davis never took the field as he had a bulging disk in his neck that didn’t hurt him in college but it made it where no one drafted him. It remains to be seen if he’ll be able to contribute down the road. The team brought in Eric Lee who displayed a decent ability to rush the passer but struggled to set the edge. And very late they brought in James Harrison who at 39 still set the edge very well and had some juice left to get after the passer. Harrison, as well as ST/Edge player Geneo Grissom, are both free agents. Now entering 2018, the team is back to square one. Obviously, edge rusher is a big need, but good health is paramount. Getting Hightower, Rivers, and Langi back is big. Hightower is a known commodity and he’s the Patriots best defender in the front seven…when healthy. Which is becoming an issue. We still don’t what they have in Rivers and Langi. But both flashed potential last season. Although they both got to sit in the meeting rooms last season, they’re still essentially rookies on the field. So while question marks on one side, they’re both like a free draft pick on the other. McClellin will bear watching, it may be in his best interest to call it a career after multiple concussions and missing the entire season due to others. Free Agency Options: So what is out there in Free Agency? Top tier pass rushers Demarcus Lawrence and Ziggy Ansah are going to command much more cash than the Patriots can afford. Second tier players that may interest New England are Adrian Clayborn from the Falcons, who had 9.5 sacks in 2017. Trent Murphy from the Redskins had a nice 2016 but then missed all of 2017 with an injury. Of course, they could bring back Harrison but one name to keep an eye on, could be Julius Peppers. The ageless, 38-year old pass rush specialist for the Panthers had 11 sacks last year in Carolina and could be one of those veteran players the Patriots and Belichick have brought in to bring some heat on the QB. While we have been beating the drum that they need to get younger and more athletic on the edge, why bring in Peppers? Great question, while we’ll continue to believe that, there is nothing like solid production. Peppers hasn’t had less than seven sacks since 2007. He could be a nice fit with Belichick and the Patriots in a limited snap count role. Names in the Draft: Now we’ll be the first to say, don’t even bother with draft scenarios until free agency is about played out. That will ultimately decide how the team decides to approach the draft and not the other way around. However, we always get a ton of questions about talented edge guys coming out in the draft. This list will grow as we get past the combine and get deeper into our NFL Draft coverage as we’ll look at some players whose skill sets may be of interest to the Patriots. If they opt for a guy like Peppers in free agency for instance, then they’ll likely look for an edge player closer to the middle rounds. But regardless, the biggest thing the team needs now is health. Getting a healthy Hightower, Rivers, and Langi all on the field will do wonders for what ailed the team in 2017. Be intriguing to see if Davis, who was a productive college player can get a clean bill of health, ditto for McClellin. We’ll be watching as free agency unfolds like everyone else, but with a limited amount of cash this spring, the Patriots will probably not be big players in free agency this season. They’ll have to do some creative work with the cap to make that happen and most of their big decisions will come down to whether or not to sign their own players. And while it won’t be the kind of moves that Patriots fans want to see, their biggest moves this spring may be just getting their own injured players back in the fold. 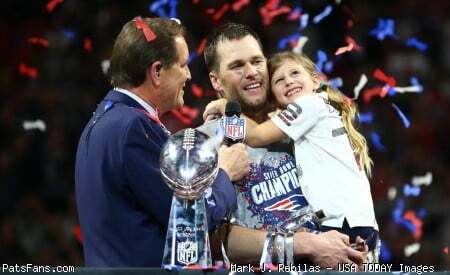 This entry was posted in 2018 Patriots Offseason, NFL Commentary, Patriots Commentary, Patriots News, Patriots Rumors and tagged 2018 Patriots Free Agency, 2018 Patriots offseason, Bill Belichick, Derek Rivers, Dont'a Hightower, Geneo Grissom, Harvey Langi, James Harrison, Julius Peppers, Keionta Davis, Kyle Van Noy, New England Patriots, NFL, Patriots, Patriots edge rushers, Shea McClellin, Trey Flowers on February 26, 2018 by Steve Balestrieri. 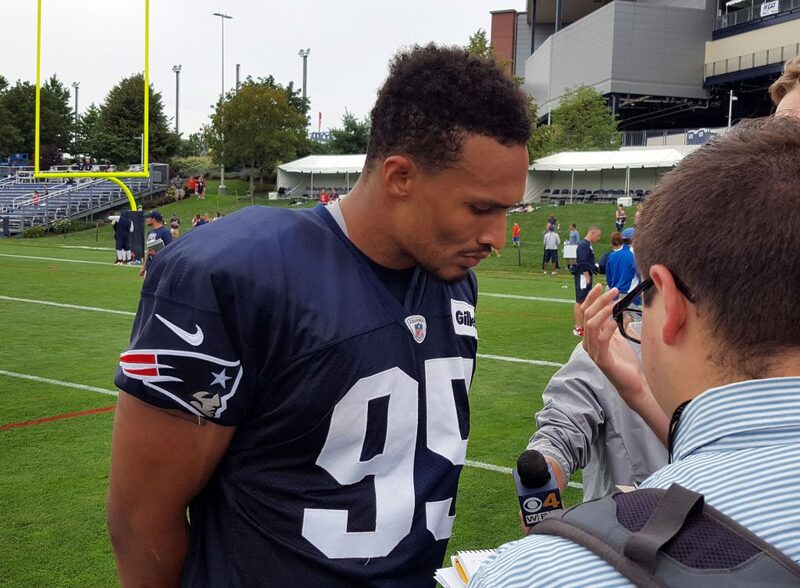 Derek Rivers Injury Leaves Patriots Thinner On the Edge, Options? 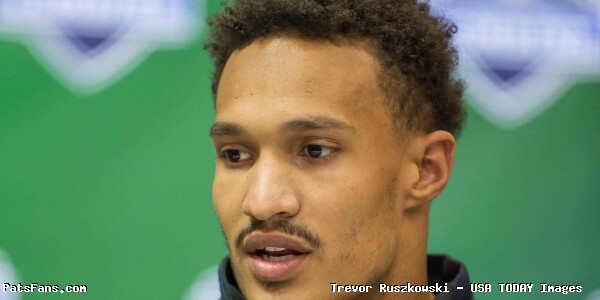 The Patriots got more bad news this summer as rookie edge player Derek Rivers has torn his ACL and will be lost for the season. It was a tough blow for the rookie who was injured conducting kickoff drills during joint practices with the Texans on Wednesday and was sent home for further evaluation. Rivers was the Patriots top pick in the 2017 NFL Draft and up until his injury the other day, been coming on as he grew accustomed to the speed and physicality of the NFL. His play has been much better lately and now, like Trey Flowers in his rookie season, he’ll watch the season on the sideline. But now the big question is, where does the team go from here? With the loss of Chris Long, Jabaal Sheard and Rob Ninkovich from last year’s team, they were thin on the edge. Now they’re dangerously so. With Trey Flowers, Kony Ealy and Geneo Grissom the only healthy players at the present with experience, the pressure on the edge will have to come from somewhere. The good news is that rookie edge player Deatrich Wise should be back to practice soon after the team returns from Houston. He was kicked in the head during the first preseason game and suffered a concussion. At the time of his injury, he was having a very impressive summer. The team is obviously hoping that this injury won’t set back his progress. The team can look for upgrades in three places. Internally, via free agency and also trades. Internal Options: The Patriots like to operate out of flexible and changing front, which is why Bill Belichick doesn’t like to classify anything as a 4-3 or 3-4. Rivers was a good fit for this as he could switch between a standup OLB and a hand in the dirt DE. 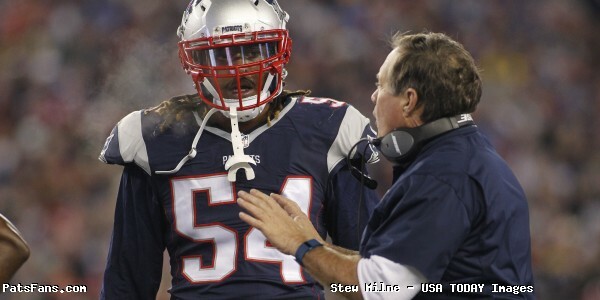 With David Harris on the roster at MLB, the Patriots could use Dont’a Hightower at OLB who could help with the pressure. He’s been very effective as that. Other linebackers that the team picked up last year, Kyle Van Noy and Shea McClellin have both been defensive ends or blitzed off the edge. Each could be tasked to help in that area. This injury may open the door for a guy like Adam Butler, an interior player who has shown the ability to create some pressure inside. He and Lawrence Guy, are 300 pounders who can play anywhere along the line but may be used as interior pass rushers. Another rookie who has been turning heads is Harvey Langi. The UDFA has been both a stand up inside LB and a blitzer off the edge. He played DE in his senior year of college. He’s another guy who could conceivably fit the bill as an edge rusher. The internal options point to more of a three-man front look or a 3-4. But they can also look elsewhere. Free Agency and/or Trade: We’ve seen in the past that Bill Belichick isn’t shy about pulling off trades during the season, Akiem Hicks, Akeem Ayers, and Van Noy a year ago are just some of the players that he’s picked up who played big roles for the team. One of the biggest names out there is Dwight Freeney the former Patriots nemesis with the Colts who played a nice role with the Falcons a year ago. Freeney still showed he had what it took as he had seven QB hurries and a sack of Tom Brady in Super Bowl LI. At age 37, he’s no spring chicken but could be a sub-package pass rusher where he could still be effective. 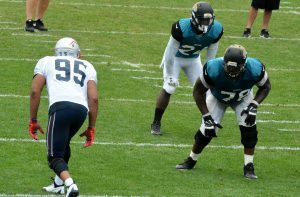 Jared Odrick is a guy the Pats had in this spring for a physical, which he passed after a shoulder injury shelved him in 2016. He’s another one of those interior type pass rushers though so it would be interesting if they kick the tires on him. Another name surfacing on social media is Mario Williams. There’s never been a question about his talent. His desire is another matter. Williams’ drive and motivation have been called into question the last few years. I highly doubt that Belichick would take a chance on wasting time with Williams if he wasn’t going to go all in. That would take a selling job not seen since Seward bought Alaska for a song. On the trade front, there are a couple of guys out there who would be intriguing. But perhaps the most would be Za’Darius Smith of the Ravens. This possibility was first mentioned by Rich Hill of Pats Pulpit and one we’d agree with…Baltimore is another question. Smith had a solid rookie season but is being phased out of the defense as the Ravens invested heavily in the edge this spring. Baltimore needs tight end help, could one of the three Patriots TEs competing for the #3 spot be of interest to Ozzie Newsome? It would be an interesting fit. He’s 6’4, 275-pounds and about the approximate size of Wise. With him on the outs in Baltimore, he may be available…if the price is right. While I wouldn’t be surprised if they kicked the tires on a free agent, I think Belichick may decide to fill the position from within. One dark horse that we didn’t mention is DE Keionta Davis. 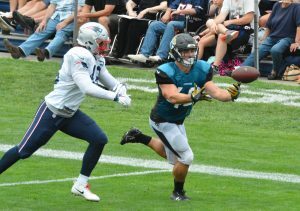 Davis was signed just recently and the Patriots may be stashing him on the roster for down the road, future use. He’s an athletic 6-3, 271-pound edge rusher who, if healthy, can help the team out. But our best bet here….most of the slack they may try to fill internally. 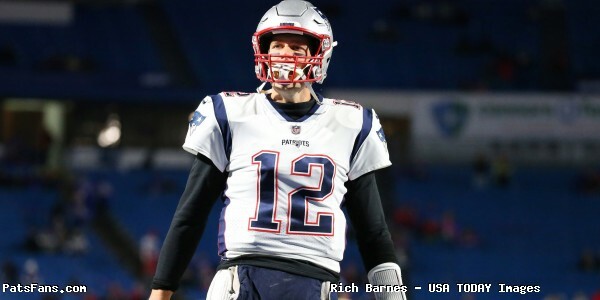 This entry was posted in Patriots Commentary, Patriots Injuries, Patriots News and tagged 2017 Patriots Season, 2017 Patriots Training Camp, 53 Man Roster Projection, Bill Belichick, Deatrich Wise, Derek Rivers, Dont'a Hightower, Geneo Grissom, Harvey Langi, Keionta Davis, Kony Ealy, Kyle Van Noy, New England Patriots, NFL, Patriots, Patriots edge rushers, Shea McClellin, Trey Flowers on August 18, 2017 by Steve Balestrieri. With Ninkovich Retired, Who Steps Up on the Edge? The retirement of Rob Ninkovich on Sunday afternoon was a significant loss for the Patriots in both terms of experience, (he’s been a stalwart on the team for eight years) but in terms of snaps. Other than last year where he missed the first four games and was bothered by his triceps injury all season, he’s always been one of the leaders in snap percentage on the defense. The Patriots lost a lot of combined experience on the edge this season, Ninkovich, Jabaal Sheard and Chris Long are all gone from the 2016 team, a combined 27 years of experience. Now they have as their longest tenured edge player, Trey Flowers who is entering just his third season. We know Flowers is expected to be their main guy this season. We saw over the course of the second half of last season and the playoffs that he was arguably their best defensive lineman. One of the reasons they let Sheard and Long walk was they felt that this was the time for Flowers to shine and they went with youth. So that part was certainly expected. But Ninkovich’s retirement leaves a void in experience and snaps, so who steps up in 2017 to fill the gap and provides the team with the pressure they’ll need? Kony Ealy is definitely a guy the team expects big things from in 2017. They made a trade with Carolina to bring in Ealy, who has shown flashes of brilliance at times in his career but has yet to put it together. The cards are all falling in place for Ealy to get a new jumpstart to his career. He has the most experience of any of the edge players, but he’s only 25 and is entering just his fourth NFL season. Things didn’t get off to a great start at camp for Ealy who missed the first day’s session. 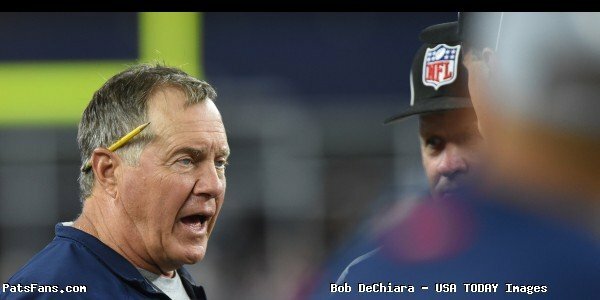 When asked about it, he stammered out a response that made it seem that Bill Belichick and he weren’t seeing eye-to-eye on something. It may be nothing, we’ll have to monitor this moving forward. Ealy could team up with Flowers and give the Patriots a young, dynamic 1-2 duo on the edge…if everything plays out. The ball is in his court, and when the team gets back to work on Tuesday morning, Ealy and Flowers will be definitely under the microscope a bit more now. The team drafted two edge players in Derek Rivers and Deatrich Wise in this spring’s NFL Draft. Rivers was their top draft pick and Wise was also taken in the early going. Rivers hasn’t turned heads yet, but we’re really only two padded practices into camp, He’s a rookie and has a steep learning curve, having not played against this level of competition in college, especially with the speed of the NFL game. Rivers arguably has the higher ceiling of the two but he’s in a new defense and admitted on Thursday after the 1st practice session, he’s trying to just react and play his game without having to think about what he needs to do. It is early, and this is what training camp is for. Wise has made some flashes already, the big guy from Arkansas has shown some nice moves and good explosion off the ball in the early going in both one-on-one drills and during full team work. He’s still got a long way to go as well, but thus far, the results have to be encouraging for the coaching staff. The team will need at least one if not both rookies to step up a bit this season. The pass rush was so-so for much of the 2016 season although it isn’t about sacks but pressure and being able to influence the opposing quarterback’s decision-making process. If they can get their 3rd and 4th round draft picks involved and productive, it will go a long way. 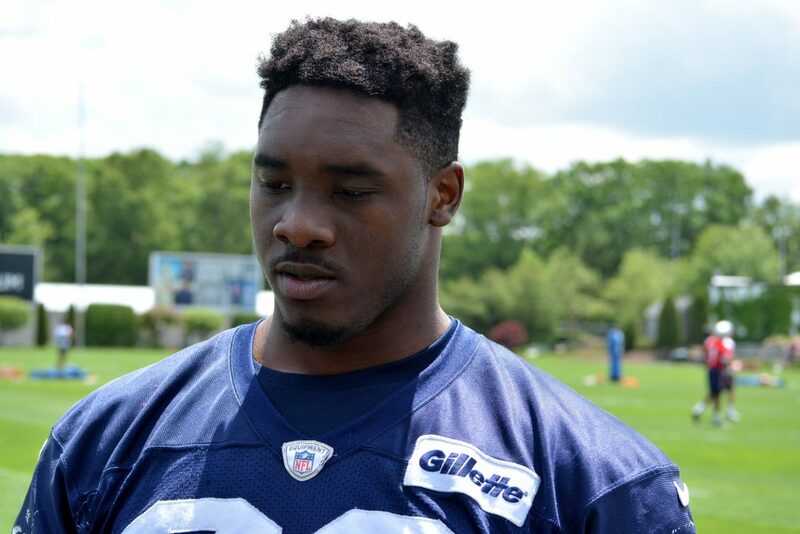 Geneo Grissom is the guy who could garner the most impact with Ninkovich’s retirement. He’s been a bit of a disappointment for a 3rd round draft pick, and has had very little impact on defense, instead just being a core special teams’ player. Entering his third campaign, he should see an immediate uptick in snaps now that Ninkovich is retired. Like Ealy, the timing is perfect for Grissom, who, if he’s ever going to make an impact on the field, this should be the time. Besides the defensive ends, the Patriots also have some linebackers who have shown the ability to rush the quarterback from the edge. 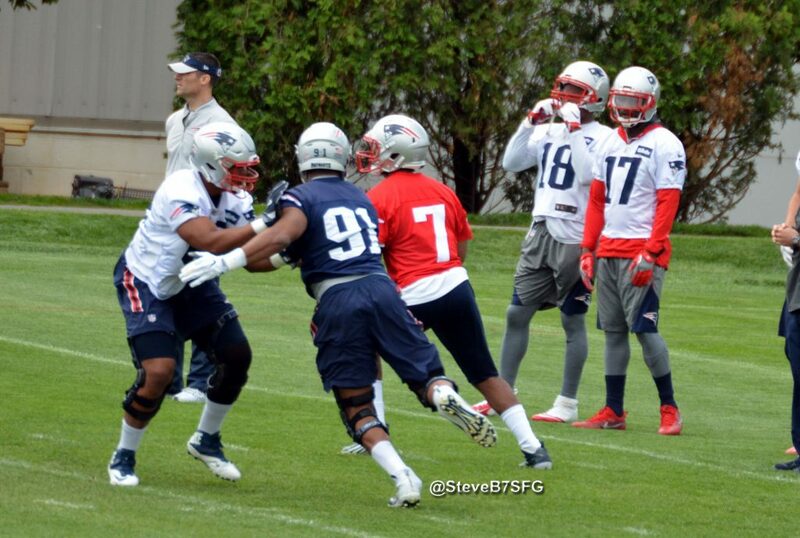 Dont’a Hightower is on PUP right now, but he’s been a very effective blitzer from the outside linebacker position. His sack of Matt Ryan in the Super Bowl was one of the big turning points in the game. Kyle Van Noy and Shea McClellin have also shown the ability to bring pressure on opposing QBs. And both should see some plenty of work in doing that. Rookie Harvey Langi is another LB who could see a role as a blitzer on passing downs. So while Patriots nation, bids a fond farewell to Rob Ninkovich, the business of the NFL takes back over and the Patriots pass rush, while not glaring to the point of being called a weakness, is now an area of concern with #50’s retirement. Their depth took a hit there. And now it is up to the players that are here to step up. 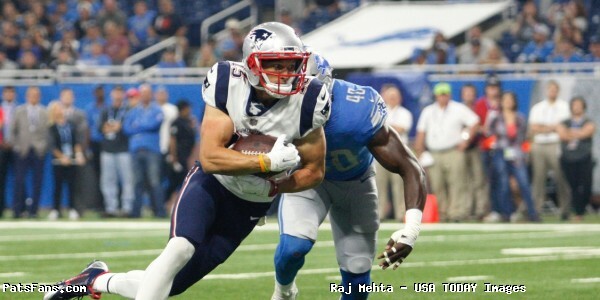 This entry was posted in Patriots Commentary, Patriots News and tagged 53 Man Roster Projection, Bill Belichick, Deatrich Wise, Derek Rivers, Dont'a Hightower, Geneo Grissom, Kony Ealy, Kyle Van Noy, New England Patriots, NFL, Patriots, Patriots edge rushers, Shea McClellin, Trey Flowers on July 31, 2017 by Steve Balestrieri. As the 2017 NFL Draft draws closer we’ll profile some of the players that may be on the Patriots radar or that we feel would be a great fit. The Patriots are certainly going to be looking at players on the edge with the picks that they have left in the NFL Draft. Trey Flowers, Kony Ealy, and Rob Ninkovich are the guys we look to at providing the edge pressure but they still have DL Lawrence Guy who can play on the edge as well as kick inside as an interior pass rusher. Geneo Grissom is a STs player. As we’ve repeated here many times, edge rushers are like cornerbacks, you can never have too many good ones. Many experts are looking for the Patriots to double dip in the draft next week, taking a DE and an OLB that can provide pressure as well. And this next guy maybe a bit of a sleeper. I was watching a few games of Washington looking for tape on Sidney Jones and this next player began to jump off the screen in the early games of the season. So much so, that we grabbed him in our Mock Draft a week ago. Joe Matthis from Washington is a 6’2, 266-pound defensive end/outside linebacker who is a well-rounded edge player. He shows good leverage in the running game and an ability to get to the passer despite not being a “quick twitch” athlete. He’s a guy that is versatile and can play with his hand in the dirt or stand up as an outside linebacker. That is always a plus in the Bill Belichick book with the Patriots. He has good, heavy hands and uses them well to shed blockers at the line of scrimmage. Matthis is a very physical player who goes non-stop and all out on every down. He’s a sleeper because he was injured after just six games in 2016 and there was very limited tape on him. At the time of his injury, he led the team with five sacks thru six games. A look at how their defense faded after his injury may provide a good look at how valuable he was to the team. Matthis’ role would be to initially be a part of the rotation outside as an outside linebacker and drop into coverage for the Patriots. He can also move on to the defensive line and play with his hand in the dirt as a defensive end and rush the passer. Grissom, Matthis will be a guy that they’ll feel that they plug on the edge and get to play special teams. Matthis is a guy who will be intriguing to see where he ends up in the draft. 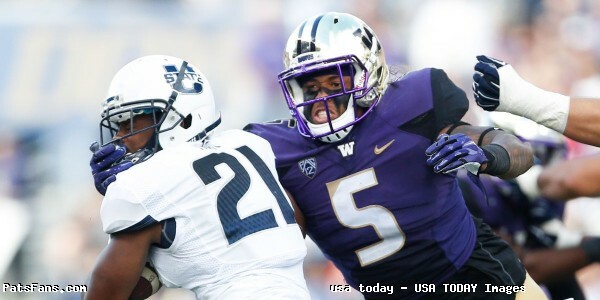 The Washington coaches moved him around and after a productive start of 2016, he suffered an injury that sidelined him for the rest of the year. He has very good, heavy hands and has a violent punch that will keep defenders off of him and allow him to get some separation. He has a good bull rush with good bend coming around the edge. He’s very good at setting the edge in the running game, a must in the Patriots system. Matthis is a Patriots kind of player. He’s versatile, can play standing up as an outside linebacker or with his hand in the dirt, has good instincts and a high football I.Q. He plays with a violent streak, never stops working and will make plays all over the field with a non-stop motor. Matthis is a guy who won’t be in high demand because of his injury, his lack of taped production and the fact that he’s isn’t an athlete that will blow people away with his measurables. But if he’s on the board in the fourth round, the Patriots could land one of the sleepers of this draft. This entry was posted in 2017 NFL Draft, Patriots Commentary and tagged 2017 NFL Combine, 2017 NFL Draft, 2017 Patriots Season, Bill Belichick, Geneo Grissom, Joe Mathis, Kony Ealy, Lawrence Guy, New England Patriots, NFL, Patriots, Patriots edge rushers, Rob Ninkovich, Trey Flowers on April 20, 2017 by Steve Balestrieri. The Patriots, many are predicting will double-dip at the edge rusher position which may indeed be the case. We’ve had multiple conversations on the podcasts about the edge and how they’ll approach it in the draft. But how they plan to use Lawrence Guy may have a bearing on those draft plans as well. Guy has been kind of the under-the-radar signing that Bill Belichick has traditionally made during free agency. While the news of his signing wasn’t met with a ton of fanfare at the time in March, the four-year, $13.4 million-dollar contract certainly shows that they’re planning on using him in their system for the next several years. The 6-foot-5, 300-pound defensive lineman has played in 67 games in his career, with 20 starts. He played in all 16 games for the Ravens in 2016 with 10 starts and played in 46 percent of the defensive snaps. He had a quarterback hit against Tom Brady on Monday Night Football last season. Guy had his most productive season in 2015 when he recorded 4.5 sacks and 46 tackles. Guy’s most natural position is at the five-technique defensive end and he’d be a big body on the outside although he has the versatility to kick inside on passing downs and be a three-technique defensive tackle and provide an interior pass rush. Unlike other players the Patriots have used in a kind of NASCAR-like package, Guy at 300 pounds isn’t an undersized guy but still has the athleticism to get after the quarterback. He’d provide them with plenty of versatility to play inside or outside. He’s not a space eater like Alan Branch but should be strong enough to hold up in the running game inside as well as push the pocket. At the age of 27, he’s just entering his prime as a player. Guy’s former coach John Harbaugh thinks that the Patriots got a good player, and spoke highly of him at the league meetings last month. “They’re going to get a guy that plays equally well against the run and the pass, plays super hard, will be excellent in the locker room and in the meeting room,” Harbaugh added. So where will Guy play, on the edge or inside? Both probably and special teams as well. Because since the league has ruled that Shea McClellin’s leaping over the line is a [gasp!] safety issue, they’ll need more of an interior push to block field goals and extra points. But in regards to the draft, while they’re about set in the interior with Branch, Malcom Brown, Vincent Valentine, Woodrow Hamilton, Darius Kilgo, and Guy, they will still be looking to add speed on the edge. The Patriots have Trey Flowers, Rob Ninkovich, Kony Ealy and Geneo Grissom on the edge. Flowers will have big expectations this year after a strong second half of the 2016 season. Ninkovich has always been a solid big-play contributor but at 33, is starting to slow down. Grissom was a special teamer. Ealy has the size and versatility to also play inside or outside on passing downs. This gives Belichick and Matt Patricia plenty of options on the defense as they’ll be able to mix and match with a variety of fronts. At the end of April, they’ll look for a speed rusher in the draft. Of course, if the opportunity avails itself, another would be even better. One can never have enough talented ‘guys’ on the edge. But as for Lawrence Guy, he’ll be one player to watch this spring/summer. He may be the ‘guy’ no one talks about in the spring, then will rave about what a great signing it was in December. This entry was posted in 2017 Free Agency, 2017 NFL Draft, Patriots Commentary and tagged 2017 NFL Draft, 2017 NFL Free Agency, 2017 Patriots Offseason, 2017 Patriots Season, Bill Belichick, Geneo Grissom, Kony Ealy, Lawrence Guy, New England Patriots, NFL, Patriots, Patriots edge rushers, Rob Ninkovich, Trey Flowers on April 18, 2017 by Steve Balestrieri. The Patriots are thin at defensive end; Jabaal Sheard has left via free agency and Chris Long has said that he isn’t coming back in 2017. The team did pick up Kony Ealy from the Carolina Panthers in a trade. Ealy has all the tools, he just needs to do it consistently. There has been talk that he didn’t take to coaching in Carolina, something he’ll have to do here to thrive. That leaves him, Trey Flowers, Rob Ninkovich, and Geneo Grissom. Flowers came on in his second season and was arguably their best defensive lineman down the stretch. Ninkovich seems to be closer to the end of his career now after several solid seasons. Grissom was strictly a STs guy and didn’t contribute on defense. So, they’ll need to add some depth. Edge rushers are like cornerbacks, you can never have too many good ones and the team is expecting Flowers to continue to improve on his 2016 season. Ealy will be looked at to contribute right away. That leaves Ninkovich and whomever they can bring in. Right now, the Patriots don’t draft until Round 3. But we don’t expect that to last. They’ll try to make a move to slide up into either Round 1 or 2 of the draft. And this next profile will be there if they can. 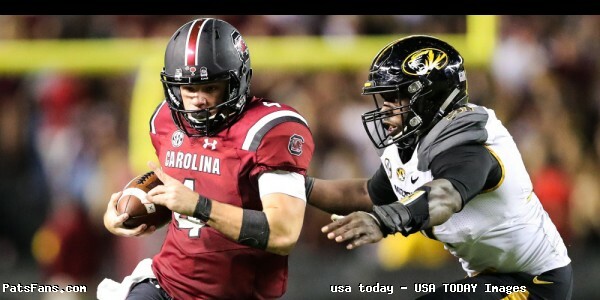 Charles Harris from Missouri is a 6’3, 253-pound defensive end who is another in a long line of productive edge rushers to come out of Mizzou. He was All-SEC second team in both 2015 and 2016. Despite the Tigers having a down year, Harris produced good numbers 61 tackles, including 12 for loss, 9 sacks, two passes defensed, two forced fumbles, and a recovered fumble. Harris is versatile and can play either right or left defensive end as well as play standing up as an outside linebacker. He has good explosion off the snap, with loose hips that allow him to change direction quickly with no loss of speed. He’s got a spin move where he can turn in either direction quickly. Harris has a non-stop motor and can go sideline to sideline. He’s got the quickness and strength to beat tackles to the inside on his pass rushes. Decent in coverage, but is inconsistent against the run. Harris’ role would be to initially be a part of the rotation for the Patriots on the edge as a sub-package pass rusher. He could also kick outside as an outside linebacker and has the ability to cover or blitz from the outside. Yes, with some added lower body strength and improved against the run, he could be looking at starting reps in 2018. Harris will look to earn his way on the field and he’ll play special teams as well as contribute on defense. He could replace Geneo Grissom on the roster this season. Harris is a first round talent and will be a guy that will contribute immediately as a rookie. First as a sub-package pass rusher, but I think he’ll push for starting reps right away. His numbers slipped a little bit in 2016 but the coaches asked him to try some different things and he struggled a little. But in the second half of the season, he took off and was dominant. He’s the type of player that Bill Belichick loves, a versatile young player with a non-stop motor that can play on either side as a defensive end or stand up as an outside linebacker where he has prototypical size. He’s can also play on special teams. He’d be a tremendous fit on a Patriots defense that can use a talented edge rusher. With his agility and footwork (former basketball player), he can get after the passer and be a very productive professional. If the Patriots can find a way to work themselves back into the second half of the first or second round, Harris would be a guy, in our opinion, that they’d definitely take a long look at. He’d fit in seamlessly in the locker room as well as on the field. This entry was posted in 2017 NFL Draft, Patriots Commentary and tagged 2017 NFL Combine, 2017 NFL Draft, 2017 Patriots Season, Bill Belichick, Charles Harris, Geneo Grissom, Jabaal Sheard, Kony Ealy, New England Patriots, NFL, Patriots, Patriots edge rushers, Rob Ninkovich, Trey Flowers on April 10, 2017 by Steve Balestrieri.